My sister and I took our dog Toby to our local dog show yesterday and came across a stall selling treats especially for dogs. The stall, run by Bone Appetit, is a taster for when they launch their website on the 21st September and their shop in Wokingham on the 23rd. 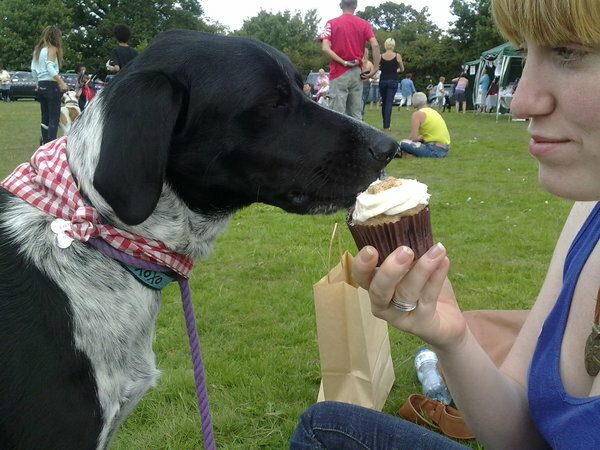 All the treats are E-number free and the ingredients are easily listed so you know exactly what your pooch is scoffing. We grabbed a couple of the cupcakes (see right) and a couple of the Pasties. They also sell gourmet donuts, and pretzels!